Vyncs is the best GPS tracking connected car product in the market and here is why. Vyncs offers you all the valuable information at an unbeatable price. The best part is that it does not have any monthly fee. The price includes 1 device, one year of service, 1 SIM card, and 1 year of data plan. If you want to renew the services in the second year then you pay the same amount again in the second year. Vyncs is the market best seller. Check out our product on popular ecommerce platforms such as Amazon, eBay, and Walmart and see for yourself. Get Vyncs Fleet if you want to monitor commercial fleets. Vyncs Fleet allows monitoring more than 5 vehicles in the account and offers loads of features that are designed for fleet monitoring. Vyncs is powered by Agnik's connected car technology developed over a decade that powers many products in the market. Vyncs received many awards such as 2016 Fleet Logistics Tech Outlook Top-10 Fleet Management Solution Provider for smartphone-based telematics product, CIO Review 2015 20 Most Promising Automotive Technology Solution Providers, and 2010 Frost & Sullivan North American Enabling Technology of the Year Award in Commercial Vehicle Telematics. Vyncs is available for both consumer household applications and commercial fleets. Vyncs Basic, Premium, and Pro are the models you should consider if your needs belong to the former category. If you want to monitor a commercial fleet then consider Vyncs Fleet. 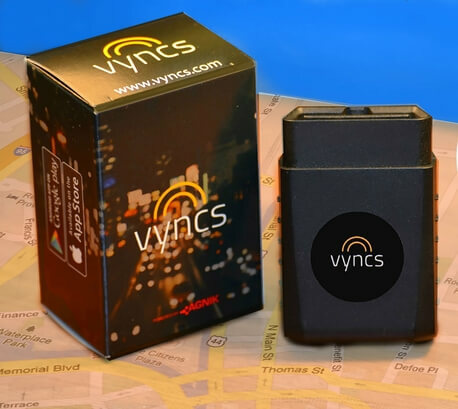 Vyncs is a GPS tracking device with 3G connectivity that provides remote real-time GPS tracking every 3 minutes, on-board diagnostics, and other analytical driving information. Vyncs Premium includes all the standard features in addition to one year of free roadside services. Vyncs Pro has the standard features. Additionally, it comes with an upgraded 60 second GPS update providing mechanism and Live Map Auto Refresh. Vyncs Fleet uses the same technology as Vyncs. However, additional features are provided that can help function with more than five vehicles, so it works especially well for the commercial purposes. With real-time 3G GPS tracking, you’ll get to know the location of your vehicle. Keep a log of all your driving trips, track your new teen drivers, and even find the location of your car if it’s stolen with stolen vehicle recovery. Tracking also includes customizable zone arrival and departure notifications. The device lets you know the health of your car. 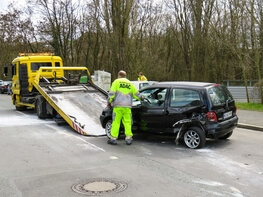 So, if there’s any fault inside the car, it will inform you immediately. The mechanism helps in checking the fault code, the interior of the engine & engine light as well. It gives a detailed summery of battery health status notifications, vehicle emission score and does much more than any other vehicle health checking device would do. 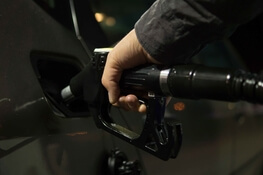 The device keeps a check on the fuel level & suggests the best way to save fuel. With built-in fuel level reporting, fuel savings tips, fuel purchase and cost tracking mechanisms, it helps you save money. One of the best features of this device is Roadside assistance. This is one of the best features of the device that helps in providing every kind of assistance to the drivers. Read all our customer reviews at VerifiedReviews360.